CLEVELAND (June 8, 2017) – Get set for an amazing summer weekend of LEGOs, science and movies at Great Lakes Science Center! Build It! Phase Three – Move It! The Science Center’s brick-tastic exhibition Build It!, presented by ArcelorMittal, is “on the move” for its final phase! 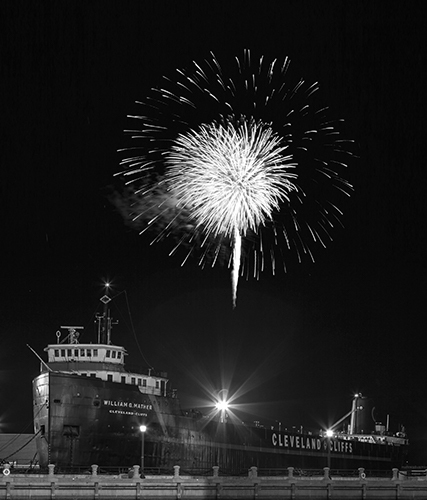 Opening Saturday, June 17 and running through September 4, phase three – Move It! – focuses on LEGOs that move. Build It! has been building momentum since it debuted in February, adding new interactive LEGO activity stations and out-of-this-world examples of some of the best LEGO art in the country as it goes. Now, for the third and final phase, the Science Center is adding four new interactive simple machine exhibits developed by Los Angeles-based LEGO expert Adam Ward, the host of “Brick x Brick” on YouTube’s Soulpancake channel, and a special exhibit developed by Build It! sponsor ArcelorMittal. 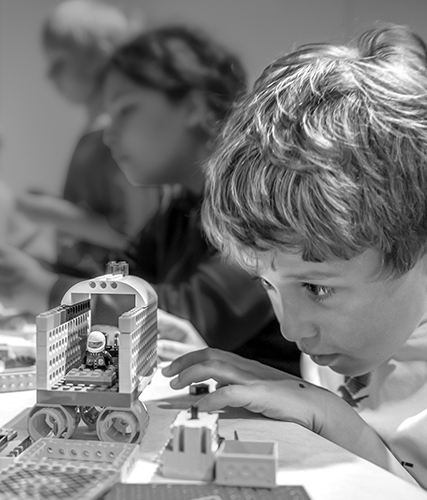 Guests of all ages will enjoy his interactive exhibits that show how LEGOs can move using brick levers, wheels and axles, pulleys and the Archimedes screw. The exhibits will provide opportunities for guests to interact with Ward’s creations, as well as use LEGOs to build their own simple machines. The debut of Move It! coincides with Father’s Day weekend, and to celebrate, the Science Center is offering half-price admission for all dads, fathers, grandpas, uncles and brothers! From 10 a.m. to 5 p.m. Saturday, June 17 and noon to 5 p.m. Sunday, June 18 guests of all ages will enjoy a full day of hands-on activities and special demonstrations. Visit the Cleveland Creates Zone area and make your own Duck Tape bowtie, check out the BASF Kids’ Lab Playful Polymers workshop at noon on Saturday and 2 p.m. on Sunday and make your own slime to take home, challenge your engineering skills and build a putt putt course, and grab a passport and try to find all the hidden LEGO mosaics in a STEM Scavenger Hunt. 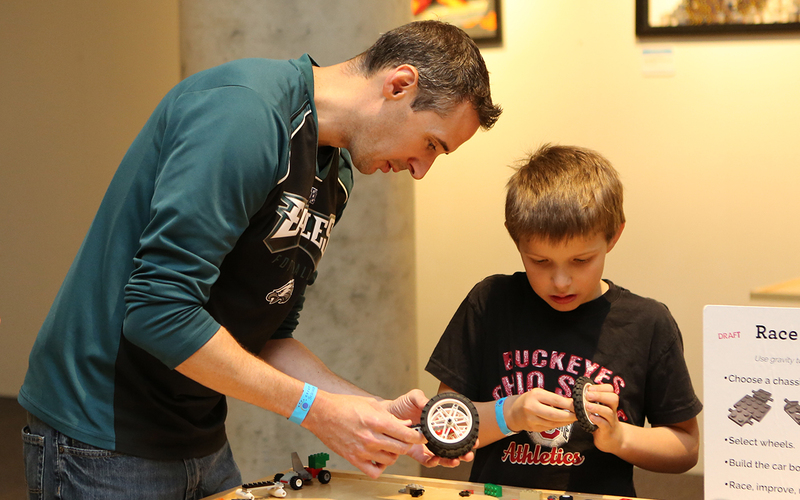 Father’s Day activities are included in general admission. Visit GreatScience.com for a complete schedule! Hang out at the Science Center after hours on Saturday, June 17 and catch a back-to-back screening of the Pixar animated classics “Finding Nemo” and “Finding Dory,” part of the monthly Take Two! Double Features at the DOME series. Relax and enjoy the adventures of everyone’s favorite fish in the newly renovated DOME Theater, with state of the art digital projection, 11,600 watt digital sound system, and concessions including beer and wine. “Nemo” screens at 6 p.m., followed by “Dory” at 8 p.m. Tickets are on sale now and are available online at GreatScience.com or by phone at 216-621-2400. Tickets are $10 for a single movie, or $9 per movie for two or more movies purchased together. Look ahead to the July and August movies and purchase three or more movies at the same time and get tickets for just $7 per movie. Discounted parking is also available for $3 (when purchased in advance). Take Two movies are shown in industry standard picture ratio.